Better Software Conference East will be held at the Hynes Convention Center situated in downtown Boston, MA, one of the city's most historic areas. 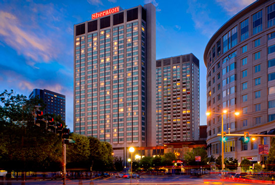 Stay at the conference hotel, which is the closest hotel located to the Convention Center, the Sheraton Boston. 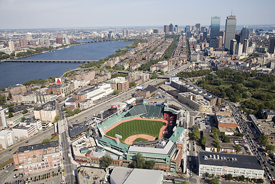 Sheraton Boston Hotel is also conveniently located four miles from Logan Airport and blocks from the financial district, Charles River, trendy Newbury Street, and Fenway Park. 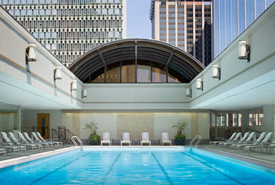 The Sheraton Boston hotel offers a unique mix of business amenities and vacation luxury. 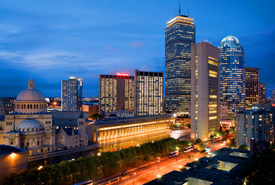 This 29-story hotel offers 1,220 newly renovated guestrooms, some with views of the Charles River, and provides indoor access to mass transit, the Prudential Center, Copley Place malls, and numerous shops and restaurants. With only a five minute covered walk from the Convention Center, this is where the action is! Networking opportunities are around every corner and in every elevator. We appreciate your making your reservation at our conference hotel where we have negotiated contracts to give you the best value and service. 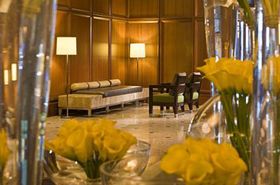 CALL THE HOTEL: Call the Sheraton Boston Hotel reservations at 617.236.2000. Be sure to mention the Better Software Conference East to get the special conference rate. If you need special facilities or services, please notify the agent at the time of reservation. CALL US: Call our Client Support Group at 888.268.8770.
occurs first. Rooms are subject to availability. 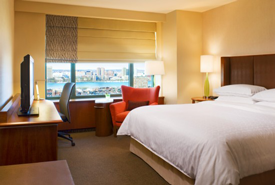 For more information on the Sheraton Boston Hotel, please click here.